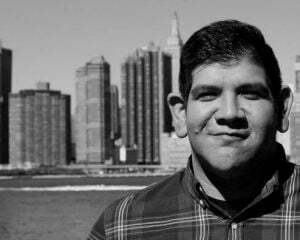 Aztez immediately caught my eye for a number of reasons. The most striking of which was its distinct look. Taking cues from Mexican culture, I was wary and excited at the same time. There aren't a lot of games influenced by my culture, so I'm usually pumped to play whatever comes my way. But on the other hand, I feel I have to keep these projects at arm's length just in case. 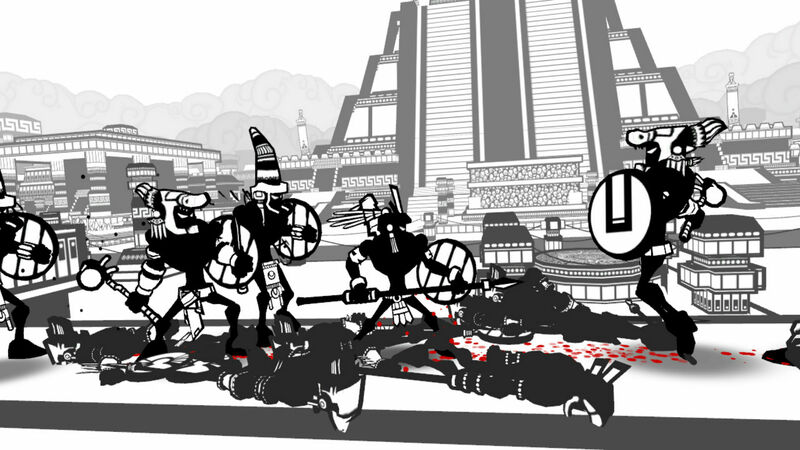 Luckily, Team Colorblind honed in on the innate brutality of Mesoamerica and fine tuned it to such a fun degree. Aztez melds together so many of my favorite things: ancient Mexican culture, blood, stabbing things in the face, blood, sacrificing my enemies to Aztec gods, and blood. It was pretty damn hard to not just write "Aztez is dope" over and over. Set in 15th-century Mexico, Aztez is sort of like ActRaiser in that two completely different genres somehow come together in a beautiful peanut butter and chocolate concoction. You'll have to manage a budding empire and its resources as it staves off drought, darkness, famine, and a Spanish invasion looming on the horizon. How do you do that? 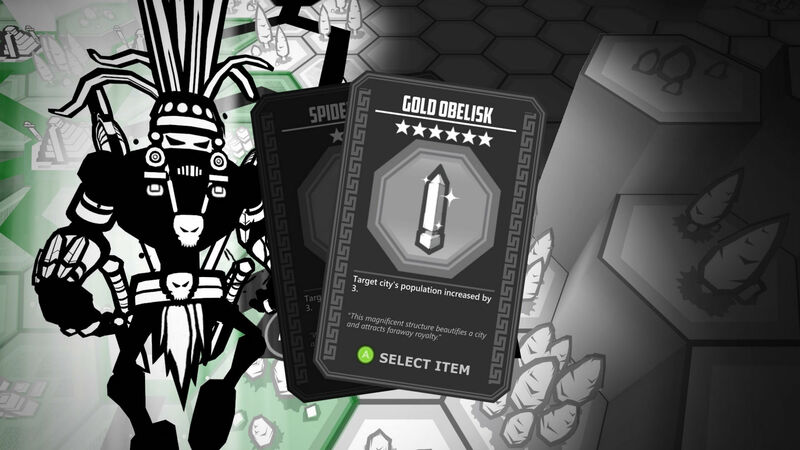 By literally getting your hands dirty as the titular Aztez goes into each city of the growing empire, chopping enemies down along the way, and absorbing their blood in order to summon gods. Broken down into turns, missions pop up that'll either bring resources (which you can use to further your empire by marrying off princesses, paying assassins to kill opposing city leaders, etc. ), items that'll help grow the empire (such as bringing rain or making favorable mission types appear), or a special mission that'll unlock one of the eight available weapon types. But luckily, Aztez has an almost unbelievable amount of exploration within its action and this almost goaded me into playing even more even as difficulty ramped up later in the rounds. Aztez is built around replayability, and its combat style is reflective of this. I realized the more I played, the more I got used to the fights and started experimenting with my movements. Each mission places Aztez on a 2D plane, resembling a beat-'em-up arcade title, where you have to fight a variety of enemy types that'll increase in speed and difficulty as more turns pass by. Combat is awesomely fluid since you can switch weapons on the fly (mapping each one to the D-pad) without breaking your combo. For example you could slash an enemy with the standard sword a few times, switch to the Witch's Knife and then attack the ground to push that enemy back with a dark wave of energy. Combat continued to impress each playthrough with grabs, command motions such as aerial launchers, parries, and even more advanced movements I didn't expect like being able to dash into an enemy while striking. 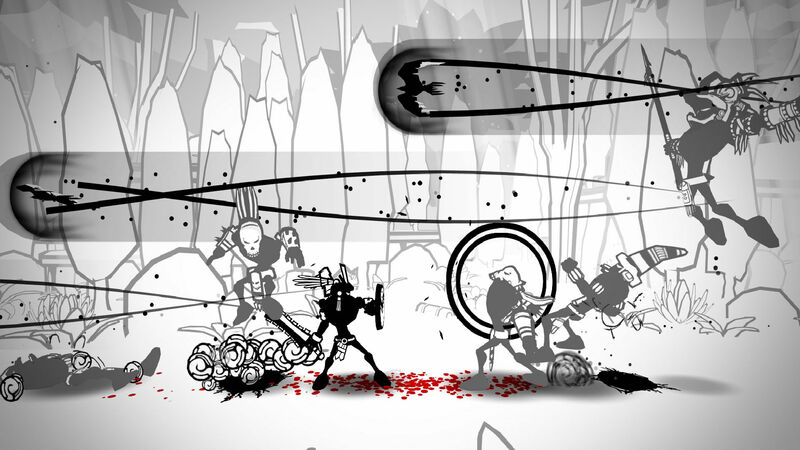 Aztez's black, white, and red-all-over art style works wonders for its brutality as it emphasizes its central combat mechanic, sacrificing a wounded enemy to summon different types of gods. Throughout each battle, you'll need to absorb the blood of the fallen enemies in order to fill a blood meter and get help from one of the gods like Wrath, who knocks back nearby enemies with a wave, or Rain, who heals. Damaging an enemy to a certain extent brings them to a dizzy state where Aztez and can grab them, enter a brief cutscene, and sacrifice them to yield an even greater amount of blood. The only problem I had with this is the balance between risk and reward here isn't quite worth the effort sometimes as you aren't granted invincibility frames during the animation. So while attempting to sacrifice an enemy, another one can knock you out of the animation. I wish I could've used this mechanic as an exploit during later fights, as fights tend to reward those more aggressive than I, but it's more about exploring weapon combinations and constantly moving. I wish Aztez had a more evolved approach to its strategy elements as the empire building seems a bit too easy to run through. Its difficulty lies in the combat, and can sometimes be unbalanced as the randomness of the missions can in fact place you into some tougher situations before you can handle them. But those strategy elements just seem like a way to introduce the combat. In fact, there's an arena mode with an arcade type of progression that's probably the most fun I've had in an arcade fighter in quite some time. Aztez is an absolute killer. It's cool, brutal, and a masochistic amount of fun.